Yes, it’s big-time music industry news that The Strokes’ infamous lead singer Julian Casablancas has announced that they will soon release a new record. However, let’s not forget Julian’s highly underrated, artful spinoff project, Julian Casablancas + the Voidz, and this gem of a track combining vocals in more than one language with a spoonful of dissonance. Fans of The Strokes might initially feel taken aback by the group’s grittier, more experimental timbre, but it’s entirely possible that you’ll learn to fangirl over Julian Casablancas + the Voidz’ just as much as you’ve always raved over the lead guy’s original band. 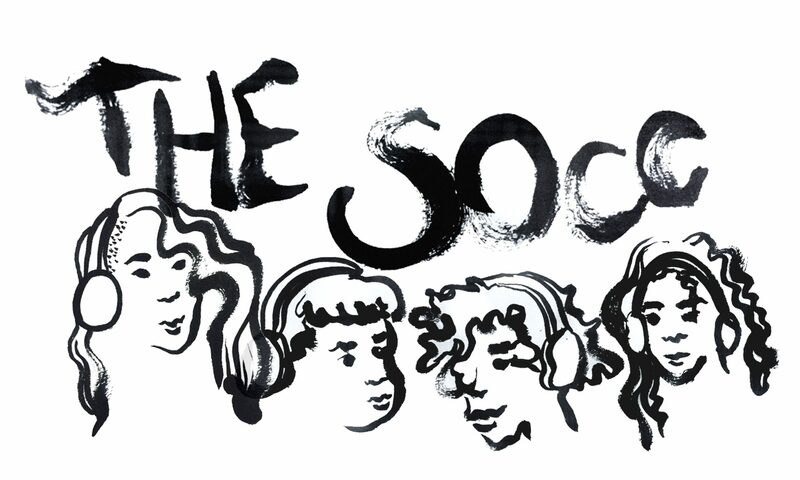 Each week, the SOCC’s DJs put together a playlist for your listening pleasure. This week, we have a great mix of tunes. Ranging from Yung Thug to Slow Magic there is something for all music-lovers to discover and jam to. It’s been a little while since we’ve seen music from Jeremy Melvin a.k.a Chrome Sparks. This newest remix from the Brooklyn native has certainly stoked the excitement for future releases. The spacey remix is a masterful blend of a funky bass line and more sweeping vocals. Give it a listen and enjoy! Louis Child has a knack for churning out future bass remixes. This track may be one of the best from the Chicago-based producer. The original Zella vocals blend seamlessly with the beefed-up Louis Child bassline. Enjoy! This isn’t a new song (it came out in 2012) but it’s new to me and, I think, one of Jake Bugg’s best tunes. Bugg perfectly captures nostalgia for youth and the fear of the future at the same time. It’s a great song to dance hard to or for an early evening bike ride. The Sidekicks, an alternative rock band from Ohio, are super cool. “Awkward Breeds” came out in 2012, and they got a lot of attention as a result. This is my favorite track off the album- it’s fun, catchy, and maybe a little melodramatic, and great overall. Give “Grace” a listen above, and for more, there’s always their page on Spotify. Their latest album, “Runners in the Nerved World,” is also definitely worth a listen. Don’t be fooled by the album’s vaguely unsettling cover photo featuring the New Zealand artist and his pencil mustache. Connan Mockasin’s sound is worth a listen: psychedelic, strange, and perfect for a Sunday Morning in the shade. If you’re not a bluegrass/newgrass junkie yet, it’s entirely possible that The Railsplitters’ new album could convert you. And if you already happen to be a fan of bands like the Punch Brothers or Elephant Revival, this is exactly where you click to fall in love. This tune in particular contains hauntingly melodic vocals and relatable lyrics that pleasantly straddle the line between newgrass and female-backed folk pop to reel you in. Another bonus: The Railsplitters hail kind of locally, from Boulder.